STEM@clywedog = Serious Fun with Science, Technology, Engineering and Maths. Well, almost at the end of the Autumn Term and the STEM community at Clywedog have been busy. The Year 7 and 8 STEM club is growing fast. On a Tuesday night after school we meet and try lots of different activities, the first being our world record attempt at paper cup telephones. At 98m we hope we have set a record but we are waiting for the Guinness Book to get back to us on this. We have had a visit from Techniquest with their LEGO robots and we are going to compete in National competition against other school across the country. On the run up to Christmas we have had one session working on Mathematical Christmas decorations, thanks to Miss Wright and next week we will be looking at a chemical Christmas tree with Miss Murray. 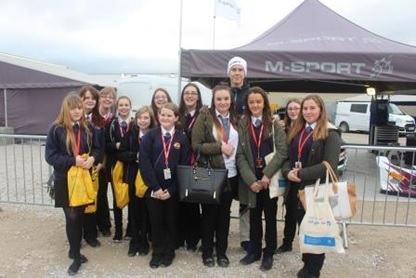 Two groups of Year 9 pupils were given the chance to go to the Wales Rally GB at Toyota Deeside, the girls went on Thursday with Mrs Booker and the boys on the Friday with Mr Stone. The girls are shown here with Max Vatanen, a new driver in the Rally championship and son of Ari Vatanen who some parents may remember. 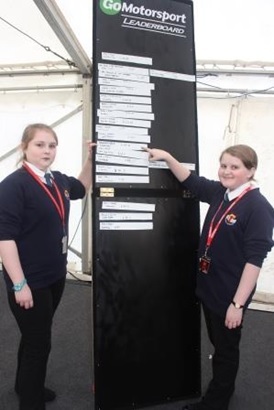 Here we can see Danialle Rowlands and Olivia Berry who proved very good at the wheel changing challenge and got themselves to the top of the under 16’s section on the leader board. This week we have just been to Airbus to start our Industrial Cadets challenge for this year. A really enthusiastic group of girls will design and, hopefully, build a design to help our school be more eco-friendly. This group follow in some illustrious footsteps as two years ago Clywedog won this challenge and last year we were runners up. For KS4 we try to organise events that are more relevant to their studies and a group of students will be going to Glyndwr University in the last week of school to learn about Smart and Modern materials as part of their GCSE Science studies. 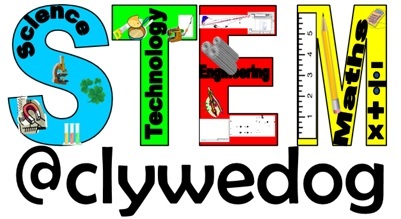 If you think you could help with STEM activities with ideas, funding, resources or even giving a talk about your business or hobby then please contact me through mailbox@clywedog.wrexham.sch.uk.